Many taxpayers had feared that the new tax law was the death knell for deducting interest from home equity loans and lines of credit. But an IRS advisory explains how the deduction can still be taken. The interest paid on that home-equity loan may still be tax deductible, in some cases. But the Internal Revenue Service, saying it was responding to “many questions received from taxpayers and tax professionals,” recently issued an advisory. According to the advisory, the new tax law suspends the deduction for home-equity interest from 2018 to 2026 — unless the loan is used to “buy, build or substantially improve” the home that secures the loan. If you take out the loan to pay for things like an addition, a new roof or a kitchen renovation, you can still deduct the interest. But if you use the money to pay off credit-card debt or student loans — or take a vacation — the interest is no longer deductible. The IRS also noted that the new law sets a lower dollar limit on mortgages overall that qualify for the interest deduction. Beginning this year, taxpayers may deduct interest on just $750,000 in home loans. The limit applies to the combined total of loans used to buy, build or improve the taxpayer’s main home and second home. Say that in January 2018, a taxpayer took out a $500,000 mortgage to buy a home valued at $800,000. Then, the next month, the taxpayer took out a $250,000 home- equity loan to build an addition on the home. “Because the total amount of both loans does not exceed $750,000,” the IRS said, “all of the interest paid on the loans is deductible.” But if the taxpayer used the loan for “personal” expenses, like paying off student loans or credit cards, the interest would not be deductible. Often, homeowners borrow against their home equity because the interest rates are typically lower than other types of credit. A home-equity loan works like a traditional second mortgage: It’s borrowed at a fixed rate for a specific period. A home equity line of credit is more complex: Borrowers can draw on it as needed over an initial draw period — typically 10 years — during which interest rates fluctuate. After that, the balance typically converts to a fixed-rate loan. A recent survey done for TD Bank, an active home-equity lender, found that renovations are the top use for home equity lines of credit (32 percent), followed by emergency funds (14 percent) and education expenses (12 percent). Mike Kinane, head of consumer lending at TD Bank, said the bank saw “a bit of a slowdown” in applications, and a slight increase in borrowers paying off larger lines of credit, before the IRS clarification. But, he said, home equity remains an option for homeowners to borrow large amounts of money at competitive rates. “It still is, and will continue to be, a great borrowing tool for consumers,” he said. 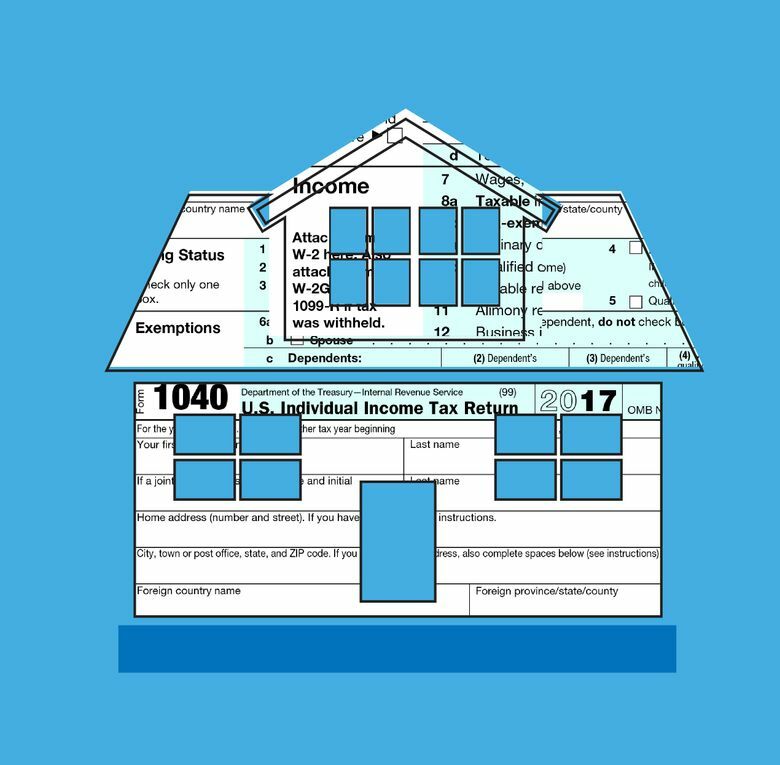 Q: Do the new rules on deducting interest paid on home-equity loans apply to my 2017 taxes? A: No. The rules apply to the return you will file next year, for 2018, said Cari Weston, director of tax practice and ethics for the American Institute of Certified Public Accountants. Interest on home-equity loans or lines of credit you paid in 2017 is generally deductible on the return you file this year, regardless of how you used the loan. But, she said, the interest may not be deductible on next year’s tax return — depending how you spent the money. Q: Can I still use home-equity loans to pay student loans or credit-card bills? A: Yes. You can use all or part of the loan for personal expenses. You just can’t take the interest deduction on the amount used for those purposes, Weston said. Q: How should I document that the money borrowed was used for eligible purposes? A: It may be that the IRS will create a new form to go with the interest deduction, on which taxpayers will state the purpose of the loan, said Patrick Colabella, an associate professor of accounting and taxation at St. John’s University. Regardless, it’s advisable to keep records and receipts for your home-improvement project, he said, should you ever need to justify the interest deduction to the IRS.